Yougen have told Dorset Energized about a fantastic photo competition where you could win a fabulous energy saving pack worth £157.00! They are looking for inspiring photos of any energy saving measures you’ve taken to make your home or business (or community) more energy efficient. Entry is free and you can submit your photos via email, Facebook and Twitter. I can’t wait to see what inspiring photos Dorset has to offer and please remember to let us know if you have entered so we can check them out too! Is This The Future for Electric Vehicle Charging? I recently heard about this novel approach to providing Charging Points for Electric Vehicles. The idea is being proposed by the German Electricity Company Ubitricity (http://www.ubitricity.com/en) and has the advantage if it becomes a reality of providing vast numbers of Charging Points at very little cost. The proposal is for charging points to be installed in things such as street lights, parking meters, and in fact anywhere where there is an electricity supply – the installation cost of the charging point being only 100 Euros and a running cost of only 2 Euros per month. Ubitricity foresee, if the idea is put into practice, a future where there are as many available public charging points for Electric Vehicles as there are Electric Vehicles, an amazing thought. 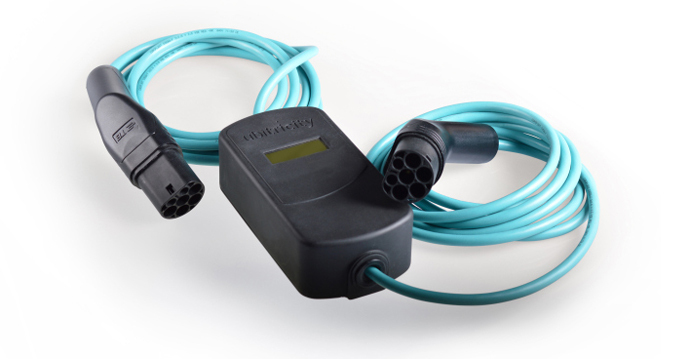 For the Electric Vehicle owner the method is – a smart meter (pictured above) is placed between the Electric Vehicle and the Charging Point, and this meter monitors how much Charge is drawn and automatically (via built in mobile phone connection) charges for the precise amount. Ubitricity Charge Points can even be installed in dwellings (especially useful when several people have electric vehicles or when each person is paying their proportion of the bill), workplaces, public car parks and so on. It is a very clever idea – and although the Ubitricity Charge Points are not the Fast Charge points that are available in certain places, they can complement that infrastructure, as the Fast Charging can be used when available and the Ubitricity Points used at other times – for instance when at work or parked for a longish period of time while doing the shopping and so forth. We shall see of course if this idea becomes a reality in this country – it does seem likely it might happen in Germany – but if it does it might well go some way to solving that ubiquitous problem of Electric Vehicle ownership, of where on earth can I charge the battery! Here’s a simple idea we wanted to share with you and hope you will share with everyone you know too! “Put your hand up for restoring the Earth”. Voiced by Joanna Lumley, written and produced by Luke Bradford and Frogspawn Creative for Restore The Earth. For more information visit http://restore-earth.org and check out Dorset Energized’s top tips for Sustainable Living here: www.letsgetenergized.co.uk/energy/sustainable-living. NGPS will be running a sustainability roadshow through Dorset villages, over the Spring/Summer, commencing with Harmans Cross Village Hall in Swanage on the 10th April 2013 between 9am and 9pm and Dorset Energized will be there too! NGPS is a Poole based, family business with employed tradesmen. They are a Green Deal Advice organisation and registered Energy assessors for domestic and non-domestic properties. They are the ONLY Dorset company ever to get through to the National Renewables Awards Finals Nights. In 2011 they won best Renewable Installer in the South West Region at the National Renewable Awards 2011 and in 2012 they came second Nationally in two categories at the National Renewable Awards 2012. They have over 100 projects throughout the Purbecks, including Corfe Castle Pre School Solar PV and the Swanage All Saints Church and Swanage Sailing Club. Refreshments will be available with all proceeds going to Bluebell Childrens Trust which is a local charity helping disadvantaged children. Energize Stur Valley Industrial and Provident Society Limited is currently being registered by the Financial Services Association (FSA). We are a small group of renewables enthusiasts living around Sturminster Newton, North Dorset, and we have set up this investment vehicle to allow community investment to fund installation of 50 kW of PV of two roof areas at Sturminster Newton High School. We intend to use one of these large information display for the PV installation at Sturminster Newton High School too (as pictured above) – click here for a PDF of the PV generation display. It will be located prominently in their learning resources centre (library). The students will be able to see clearly how much electricity has been generated that day (kWh), how much is currently being generated (kW), generation since installation and carbon saved. Keep an eye out for more news via Dorset Energized. To find out more about Solar Energy (including my own Solar PV Installation ‘Story’) go to: www.letsgetenergized.co.uk/energy/solar-energy. If you haven’t heard already, Nissan have reduced the price of the 100% electric Nissan LEAF by £2,500 – what was £25,990 (on the road) is now £23,490 (on the road). However here at FJ Chalke we have reduced the price even more to £20,000 (on the road – terms and conditions apply). You can also benefit from low rate finance deals with Nissan Preferences at £239 per month and contract hire monthly payments are now as low as only £199 +VAT (terms and conditions apply). If that wasn’t enough, there is also 3 years FREE servicing on some finance deals. So if you don’t want to miss out on these deals, and you’d like to test drive the Nissan LEAF at our showroom in Wincanton, please give me a call on 01963 34335 or email for more information sharon.fay@fjchalke.co.uk. If you haven’t already been inspired by our various posts last week for Climate Week 2013 including my ‘Green Your Cuisine’ post about Meat Free Monday, and my post on ‘Low Carbon Farming’, then here’s a fab little video from the ENOUGH FOOD IF campaign at http://enoughfoodif.org. Compassion in World Farming’s Raw campaign is one of the organisations supporting the ENOUGH FOOD IF campaign to help end the global hunger crisis (also often referred to as the ‘Meat Crisis’). Raw is a part of IF because ending factory farming goes hand in hand with ending the global hunger crisis. I personally think it is absolutely shocking that in the 21st century so many people in poorer countries are still dying of starvation this very minute as you read this, while here in the UK we feast on more food than is even healthy or possible to sustain in a planet-friendly or humane way – and even throw a lot of it away! We have completely lost touch with nature and the importance of our food systems. Rearing animals for food is simply a terrible waste of resources. The same amount of land feeds up to 10 times as many people if you grow crops on it to feed people, rather than cutting down more of our precious rainforests to make even more room to graze animals for meat, or to grow soya to feed the animals. The added threat of mega-dairies housing thousands of cows coming here to the UK on our very doorstep is also very scary indeed. Today is Meat Free Monday so its the perfect excuse to try something new and exciting for lunch and dinner, and feel good knowing you are helping to create a more sustainable way of living to protect animals, people and our planet. It really has never been easier to buy or cook meat-free meals and its cheaper too! Make sure you subscribe to our blog (from the right-hand side of this very page!) to keep up with all the latest energy news or sign up to our mailing list to ‘Keep Energized’ (from the bottom of this page!) to be the first to hear when the Dorset Energized E-Newsletter launches for even more exclusive and local offers, and energy saving tips for a more sustainable lifestyle. And as 1 small action you can do easily right now wherever you are viewing this, add your name to the Climate Week Declaration urging the UK government to do more to prevent climate change. Many leading people and organisations have already signed – including Lord Nick Stern, the Aldersgate Group, the TUC and the National Council for Voluntary Organisations. Right now, the government is finalising a new law – the Energy Bill – that will decide the future of Britain’s energy supply. The Declaration calls on the government to put environmental targets into the Energy Bill. These would help to decarbonise our energy supply and give us cleaner, greener energy. To add your name to the Climate Week Declaration today go to: www.climateweek.com/climate-week-declaration. On Your Bike…Again…FOE’s Big Green Bike Ride 2013! Friends of the Earth have reminded us that you can still register to take part next month in their Big Green Bike Ride 2013: London – New Forest. The first Big Green Bike Ride raised thousands of pounds for Friends of the Earth in 2012 and they hope it will again this year. All funds will go towards their vital environmental campaigning which of course includes supporting renewable and sustainable energy. Whether you have an electric bike or not – any excuse to keep your non-electric cars in the garage has to be a good thing! You can cycle from the bustle of South-West London to the beauty and tranquility of the New Forest National Park, on the Dorset/Hampshire border. Cycle the pretty lanes of Surrey and Hampshire, as we wind our way to the New Forest. Explore the heather-covered heath, gentle farmland, ancient woodland and mudflats of this charming corner of the British countryside. Set in 1,000 acres of ancient woodland the overnight New Forest location is spectacular. With tents provided – or the option of upgrading to a luxury shepherds hut – you’ll be able to enjoy the ancient woodland setting and the rustic beauty of the carpenter’s barn. Keep an eye out for grazing deer and ponies as you enjoy a drink from the woodland bar. With one-day and weekend options, there’s something for everyone. As a proud owner of a 100% electric zero emissions Nissan LEAF, I was very excited to see this new video of the LEAF which apparently took centre stage at Nissan’s exhibition in Oslo last October. 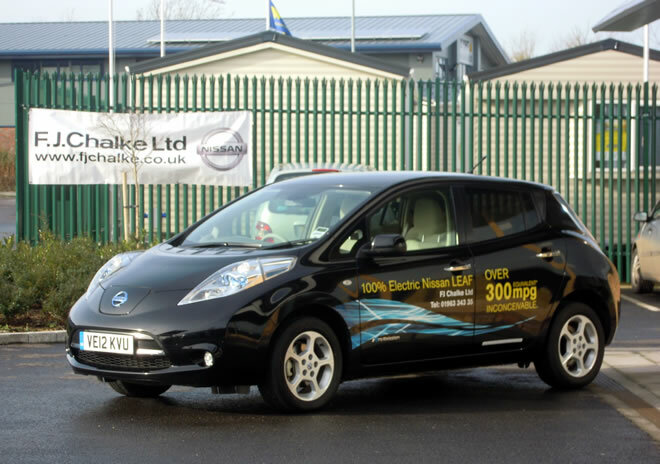 Make sure you take advantage of your FREE Test Drive with local friendly Nissan LEAF dealers FJ Chalke Wincanton whose own showroom is even solar powered! Following on from my ‘Climate Week: Green Your Cuisine’ post, I have also just read about the Soil Association’s exciting Low Carbon Farming project which aims to meet the challenges of a resource-constrained world. They are seeking solutions that balance the needs of society and the environment, and working with other organisations who share these goals and their organic principles of care, ecology, fairness and health. Over the past two years, the Low Carbon Farming project has been supporting British farmers to decrease their carbon emissions. Agriculture is responsible for 6% of the UK’s total greenhouse gas emissions and the government have set a target of decreasing this by 11% in the next seven years. The project has been running free info events at farms across the country, connecting farmers with experts. They look at all farming practices and have recently highlighted renewable energy options for farmers. Did you know that the manure produced each year by our cattle has the potential to produce 5% of our national electricity needs? That’s 100% free renewable energy! As the founder and Co-ordinator of Compassionate Dorset – the local voluntary supporter group for Compassion in World Farming – I am already a fan of the Soil Association, as their Organic Standard currently provides the highest animal welfare levels in the UK e.g. smaller flock sizes for chickens and no live exporting of dairy calves – so I am pleased to see they are also encouraging farmers to invest in renewable energy too! However, it’s important that if we are to utilise / recycle waste from our animals that we make sure it is sustainable and not actually contributing to climate change – for example, livestock farming accounts for around 18% of our global greenhouse gas emissions – more than the global transport sector! And it’s not just carbon dioxide that’s the problem with most farms – gases including methane from cattle and nitrous oxide are also produced in significant quantities, released through various sources including animal waste and fertiliser use. Livestock farming produces 37% and 65% of our global methane and nitrous oxide emissions respectively and both gases are much more potent than carbon dioxide. These are just some of the reasons we need to end intensive factory farming and have organic free-range farms. Currently 2 out of 3 farms worldwide are factory farmed and you may be surprised to know that most farms here in the UK and in Dorset are sadly still factory farms. Check out Compassion in World Farming’s RAW website which is kick starting a food and farming revolution to see how we can feed the world sustainably and without further damaging our planet: www.raw.info. In case you hadn’t noticed yet, we are celebrating Climate Week until 10th March – a supercharged campaign to inspire a new wave of action on climate change! Climate Week is all about showcasing real, practical ways to combat climate change, and it aims to renew our ambition to create a more sustainable, low-carbon future. Did you know… livestock farming accounts for around 18% of our global greenhouse gas emissions – more than the global transport sector?! Did you also know… we throw away 8.3 million tonnes of food from our homes every year in the UK? If we all stop wasting food that could have been eaten, the CO2 impact would be the equivalent of taking 1 in 4 cars off the road! As many studies have confirmed again this year, reducing our meat consumption is one sure way of achieving a more sustainable planet. I have been happily vegetarian since I was 10, and vegan for about 7 years now, and I also run Compassionate Dorset – the local supporter group for the leading farm animal welfare charity Compassion in World Farming – so I realise just how much difference we can make if we simply ate less meat, and even more so if more people adopted a completely plant based diet, which is also generally believed to be one of the most planet-friendly and healthy diets! Its never been easier to reduce your meat consumption, so why not join thousands of people across the UK and worldwide who enjoy a ‘Meat Free Monday’. 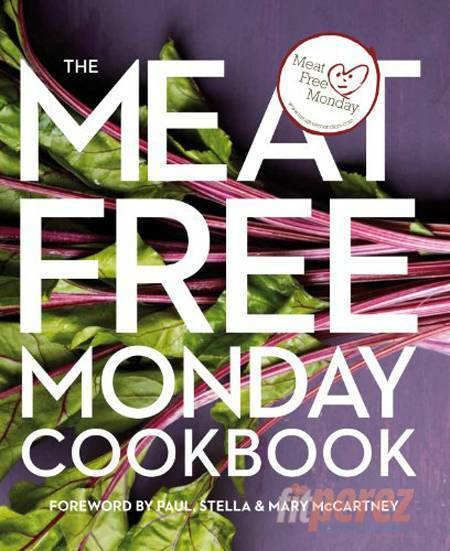 There is even a new Meat Free Monday Cookbook available at www.meatfreemondays.com – although I haven’t got it myself yet, but I do highly recommend Jamie Oliver’s and Hugh Fearnley-Whittingstall’s books, and its great to see so many celebrity chefs now flying the flag for eating less meat, and more ethical meat too. The Co-operative have launched yet another fantastic campaign – this time calling for a Clean Energy Revolution! 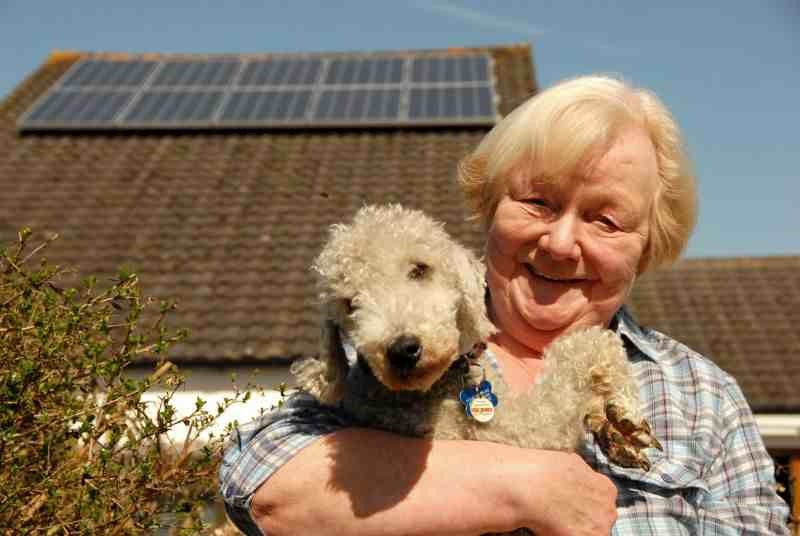 Did you know that 7 out of 10 people would support a community energy scheme near their home? The Co-operative want to see a dramatic increase in the number of communities democratically controlling and benefiting from their own renewable energy projects, as is common elsewhere in Europe. These projects will help reduce our reliance on increasingly expensive and dirty fossil fuels. What’s more, they keep the profits generated within the community and increase local support for vital renewable energy schemes (research shows that 2 out of 3 people who oppose wind turbines change their minds if they belong to the community!). For inspiration check out the Bindon Mill Screw Turbine Installation – Bindon Mill Turbine Project Dorset - a local project which turned a disused water mill into a hydropowered renewable electricity generator – perhaps you could help regenerate an old watermill near you, to power your community?! You must watch this great video on The Story of Stuff! From its extraction through sale, use and disposal, all the stuff in our lives affects communities at home and abroad, yet most of this is hidden from view. The Story of Stuff is a 20-minute, fast-paced, fact-filled look at the underside of our production and consumption patterns. The Story of Stuff exposes the connections between a huge number of environmental and social issues, and calls us together to create a more sustainable and just world. It’ll teach you something, it’ll make you laugh, and it just may change the way you look at all the stuff in your life forever. Be inspired to modify your general consumption by watching The Story of Stuff video below and for even more videos visit: www.storyofstuff.org/movies-all. We’ve also recently updated our own Dorset Energized website with our own energy saving and sustainability tips too. Check out our updated Energy Efficiency section and our Sustainable Living pages for tips on; Home, Travel, Food, Waste and Water. Here’s a nice simple concept! WWF’s Earth Hour is a unique annual phenomenon that focuses the world’s attention on our amazing planet, and how we need to protect it. At 8.30pm on 23 March hundreds of millions of people will turn off their lights for one hour, on the same night, all across the world in a huge, symbolic show of support. For 2013 as we all switch off our lights, WWF want the focus to be on the kind of energy we use. Because to create a better future for our planet we need to move away from dirty fossil fuels and onto clean green renewable energy which works with the awesome power of nature, not against it. This will be my 3rd time taking part in WWF Earth Hour and I really enjoy it! Its just lights out for 1 hour and is time where you can take the opportunity to sit down and relax in the dark (and peacefulness if like me, you take the opportunity to turn off everything, so no lights, no TV and certainly no computers! ), or with the ambience and novelty of candlelight, and it makes you feel really good knowing you are part of making a HUGE difference by saving so much energy! To find and more and make your pledge to take part go to: http://earthhour.wwf.org.uk. As we continue to celebrate Climate Week, the Climate Week at Home campaign asks you to take some small steps to live more sustainably. For example, virtually every home uses toilet paper – try buying Andrex® Eco which is 90% recycled and 10% bamboo, which uses less land and water than trees. And we recommend using only recycled paper for print too! We’ve just updated our own Dorset Energized website with even more tips on saving energy too – check out our Energy Efficiency section and our Sustainable Living pages. Climate Week is a supercharged national occasion that offers an annual renewal of the ambition and confidence to combat climate change. It is for everyone wanting to do their bit to protect our planet and create a secure future. It aims to shine a spotlight on the many positive steps already being taken in workplaces and communities across Britain. The power of these real, practical examples – the small improvements and the big innovations – will then inspire millions more people. We’re very excited to see that here in Dorset there are 6 private events and 3 public events planned to celebrate Climate Week. To find a local event go to the Climate Week website and search your area: www.climateweek.com/find-an-event. As well as the small steps you can take personally and in your home or business to save energy – see our section on your Renewable Energy Options for starters – you may also want to consider getting involved in a Community Energy Project. 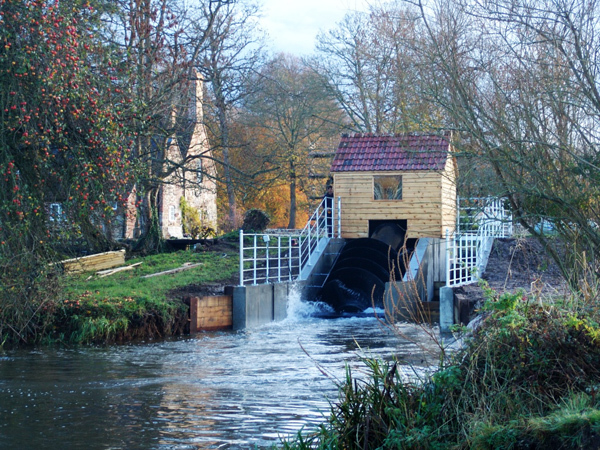 For inspiration check out the Bindon Mill Screw Turbine Installation – a local project which turned a disused water mill into a hydropowered renewable electricity generator – perhaps you could help regenerate an old watermill near you, to power your community?! If you have any more ideas for Dorset community energy projects please do let us know! This week at Dorset Energized we are celebrating Climate Week so look out for lots more posts about tackling climate change and saving energy (and money!). Climate Week is Britain’s biggest climate change campaign, inspiring a new wave of action to create a sustainable future. Each year, half a million people attend 3,000 events in Britain’s biggest ever environmental occasion. Events are run by schools, businesses, charities, councils and many others. Following on from the success of our recent Sturminster Newton Renewable Energy Exhibition and Forum last month, we hope to be involved in a Climate Week Event here in Dorset in 2014 so do let us know if you would like to be part of that. If you want some further inspiration or to get more involved in Climate Week you can also check out their website at: www.climateweek.com.